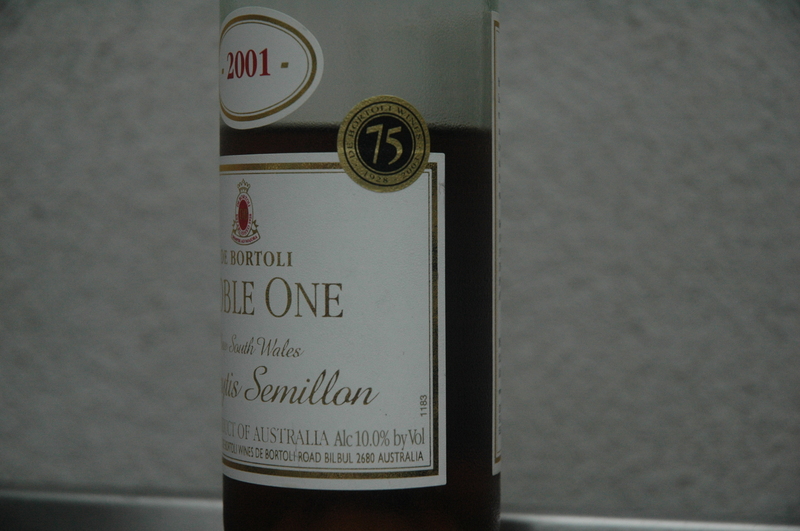 I’m sipping a small glass of De Bortoli Noble One Botrytis Semillon 2001 from New South Wales, Australia. It came from a small stash I’ve been eyeballing of stickies from around the world including Foris Port (OR), and both light and dark sweeties from Joseph Phelps (CA) and d’Arenberg (AU). There are almost infinite, though often tiny production, dessert wines made in the style of classics of specific regional origin, usually available at a relatively lower price point. Bortoli’s Noble One Semillon is similar to a Sauternes, the classic French white dessert wine of Bordeaux, which can be many times more expensive. Wine was lighter in color than it appears. I’m listening to Jesse Jarnow’s Frow Show as archived at wfmu.org. Jarnow is the music nerd’s music nerd. I spent many years researching music professionally and I can go through a whole Frow Show without hearing a single piece of music that I own in any format. The opener from his July 4th Frow Show entitled “unscramble: fereodm”, was the Karma Moffett track, “Ocean Bowls”, which is four minutes of waves gently breaking, barely impeded by slight tones laid over it. You’re as likely to hear fireworks as harp or theremin, but playlists also contain three minute songs in English, by hipp(i)er household names. This particular Independence Day show ended aptly with a historic recording of Woody Guthrie doing “This Land Is Your Land”. The De Bortoli Noble One Botrytis Semillon 2001 shows lush fruit, apricot, pair and caramelized granny smith apple. It’s more viscous in the mouth than it is in the glass. There are honeysuckle and honeycomb, and it’s as sweet as a wine can be, without going sickly. Visually and texturally it’s more similar to a 5 puttonyos Tokaji than to a Sauternes. As the wine warms in the glass, it becomes even more honeyed, velvety, and viscous, perhaps this is closer to a 6 puttonyos tokaji? But still there’s a crisp acidity, good length, and the tang of orange zest. One could easily pair De Bartoli Noble One 2001 with a lithe tarte tatin, a floating island (oeufs à la neige or ile flotant, if you want to be all French about it), or the right kind of cheese plate, but this wine is serious enough to stand alone as it’s own course and experience.